Posts from the Rho Gammas: "PHA to Me"
I write you this letter to not only share my experience, but to also to be honest with you, to be vulnerable with you, and to tell you that you are not only tough enough, but that you are pretty enough, you are smart enough, and you are bold enough to take on the day, to take on the world. Being a part of an organization that is not only going to better you, but the those around you, is surely the place you need to be. These same women I didn’t think I could even have a conversation with ended up being my shoulders to cry on at 2 a.m., my wing women at the club, confidants in my deepest secrets, and the forever sister friends I never knew I needed. This brings me to my most recent accomplishment: being a part of Rho Gamma and leading PNMs, just like you, home. You see, it is these same chapters who had been judged based on preconceived notions and who had stereotypes based on others who never truly saw the sisterhood for what it was, be the most beautiful representation of what a sisterhood should be. It was my duty in this role to protect those chapters. In my role, I now represented all 10! So to the cost of sorority, I say it’s a hefty investment but it’s one that will have a return that will be never run out. As we say in fraternity and sorority life, it’s not four years, it’s for life! Many organizations offer payments plans and scholarships. I told myself that this investment would be an investment for the rest of my life. The cliques? To that I say, just know that you will find your people within your sisterhood and even though it may feel cliquey at times, you will always have someone you can go to. How I like to think about it is if you were elementary school and you had your lunch buddy that you sat with everyday and that didn’t make you cliquey and it was just a measurement of consistency in your life with a person you care about. And to the stereotypes? I say, follow your heart and keep and open mind. 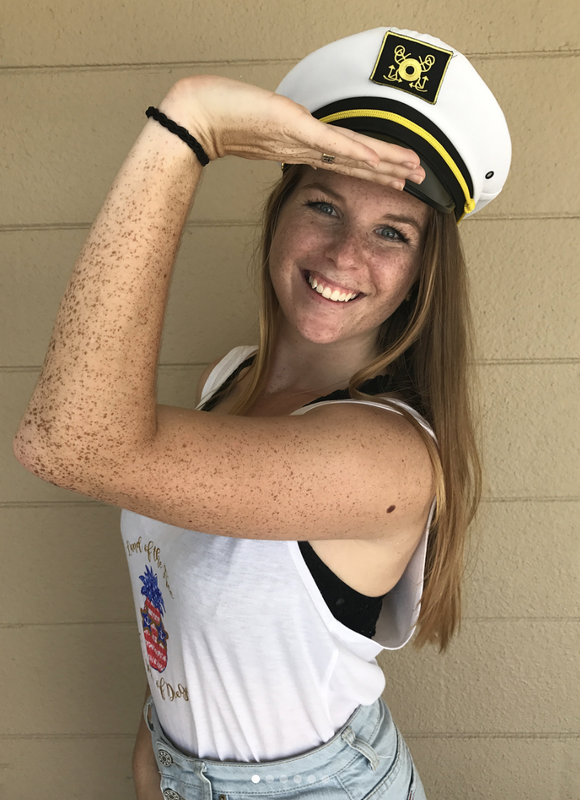 If I would have let stereotypes control my decision, I would not be in a sorority as we speak and I stand before you now to tell you, you can do it. If you haven’t caught on by now, every major contention that could have possibly been presented, I have provided an answer for. All I’m saying is I have met some of the most influential women both in my chapter and the 10 chapters I represented during my time of disaffiliation. I now have future bridesmaids, study buddies, and forever pals because I took that chance! What are you waiting for? Your forever home is waiting for you! Sister of Chi Omega, 2018 Rho Gamma, Future POTUS. Gamma Phi Beta has been partnered with Girls on the Run since 2012. Since then, sisters across the country have been working to Build Strong Girls. The mission of Girls on the Run is to inspire girls to be joyful, healthy and confident using a fun, experience-based curriculum which creatively integrates running. Gamma Phi’s main event to benefit their philanthropic partner is Moon Ball. This year Moon Ball was a volleyball game, but each year it changes between volleyball, soccer, and basketball. 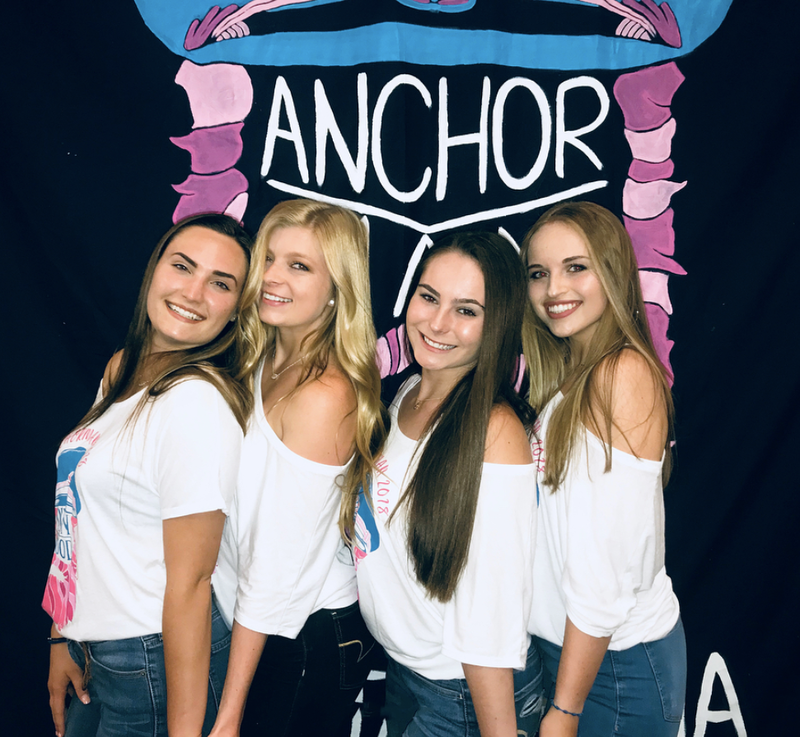 At this years event, the USF Gamma Phi Beta chapter raised over $7,000. Our chapter also volunteers at the Girls on the Run races, and makes headbands and tutus for the girls to wear.